Everyone loves kittens. They are cute, playful, and they are endlessly curious to learn more about the world they’ve just entered. Unfortunately, their kittenish nature can lead to trouble, per the old adage. For that reason, new kitten parents need to purchase kitten insurance that will allay any problems when rambunctiousness runs awry. 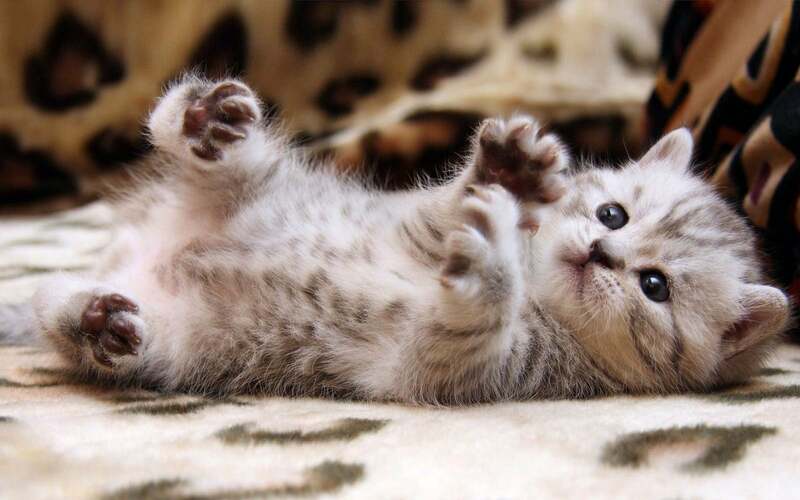 You can insure a kitten starting around the age of 6-8 weeks. That roughly tracks with the time they are weaned from their mother. Once weaned, their likelihood for mischief increases. They may be new to your home and exploring. They might find objects such as rubber bands, bits of string, or needles particularly intriguing. They may try to eat said objects. At that point, it will be too late to decide whether or not to insure your kitten. Either way, you are headed to the veterinarian’s office. Assuming that your kitten is like most kittens, you won’t have any dire, dramatic episodes at the late-night vet’s office. However, in the first year or so of a kitten’s life, you are likely to encounter a wide range of typical health issues. At a minimum, your kitten will need to be spayed or neutered. She will need vaccinations, and she may need special medicines to help her deal with fleas. The first year of a cat’s life is one of rapid development in which they essentially progress from infancy to age 18 – in case human terms apply. Just as growing humans need intensive care and nurturing throughout childhood, so do kittens. Kitten insurance helps facilitate this exciting period of growth by providing healthcare coverage. Even if you don’t do anything else for your cat, please be sure to have Felix or Felicia spayed or neutered. Your cat will reach sexual maturity somewhere between three and six months. Discuss this with your veterinarian and make an appointment as soon as is appropriate. Make sure your kitten’s insurance plan covers this vital procedure. You are guaranteed to have a happier, healthier adult cat as a result. You want your kitten to start off on the best possible footing possible. They’ll need shots, tests, and check-ups to ensure that they will proceed into a healthy adult cathood. At the minimum, you’ll want to have a cat insurance plan that covers basic wellness and preventative measures. These basic plans can cost as little as $22/month and will pay off if you use them. For your kitten, you’ll need to get vaccinations, have them de-wormed, and have many other procedures. The next level of care will cover a bit more, including things like surgical procedures and some chronic care. These plans might cover hereditary conditions, but your kitten is likely too young for that coverage. However, after a one-year waiting period, your insurer is more likely to cover these genetic difficulties. If you choose a comprehensive kitten insurance plan, you can make claims for nearly any and every medical problem your beloved feline encounters. Chronic conditions are frequently covered under these plans, and you may not have to wait to see if hereditary conditions are covered. Of course, these plans can cost up to 3x the monthly rate of the most basic insurance, however they also reimburse up to 90 percent of all veterinary bills. Comprehensive insurance will pay off, however, if you take your kitty to the vet on a regular basis. You can also take a look at some of the typical illnesses cats face, and get an idea of what some of these would cost over the life of your pet. Look for a plan that offers lifelong protection for your cat. There are plans that drop senior pets or a pet that starts getting sick. For this reason, it is important you read reviews and check upper age limits for your cat, so they can be covered well into their golden years. After all, it is not uncommon for cats to live upwards of 20 years, and you don’t want to have all of their senior expenses come out of your pocket.